We are finally at the tail end of winter, and every rise in temperature has us thinking of a beach getaway. Battle the last of these cold-weather blues by browsing our list of the top 9 family-friendly all-inclusive resorts in the Caribbean and Mexico. 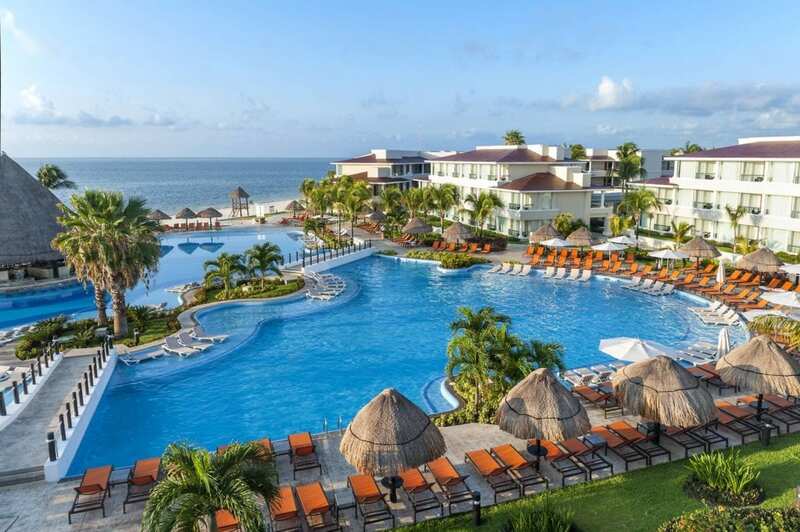 Moon Palace is one of our top selling resorts in all of Mexico and the Caribbean. We love this resort and receive consistent positive reviews and feedback from our clients when they stay here. Kids will love the brand new water park and the Flowrider, where they can practice their surfing skills on a simulator. Older kids will love hanging out at WIRED, a teens-only coffee shop with arcade games, music, and snacks. My entire family is headed here for spring break, so check back in a couple of weeks for a full run-down! We will be staying at The Grand at Moon Palace, a luxurious, 1316-suite addition to the Moon Palace property. 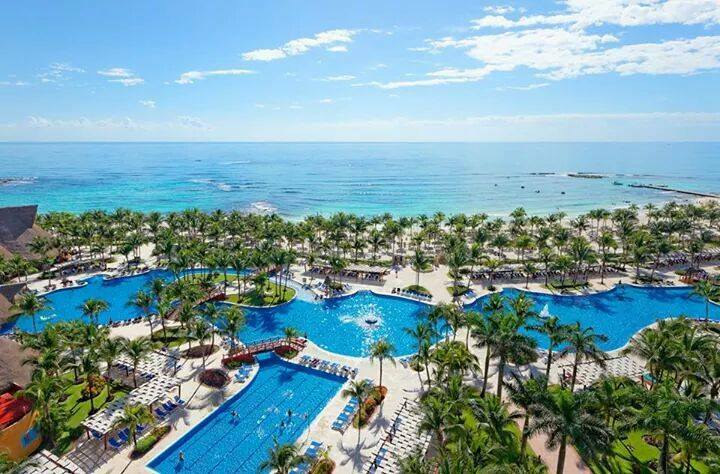 Barcelo Maya Palace is another top-selling family resort that our clients love. Kids will be excited about all of the options here! From the onsite water park, to the designated “activities” pool for water volleyball or polo, it is nearly impossible to get bored. Besides the many pools, kids and adults can enjoy non-motorized water sports, with equipment available on the property’s beach for kayaking and snorkeling. Little ones can take part in the children’s activity program, dubbed the Barcy Club. 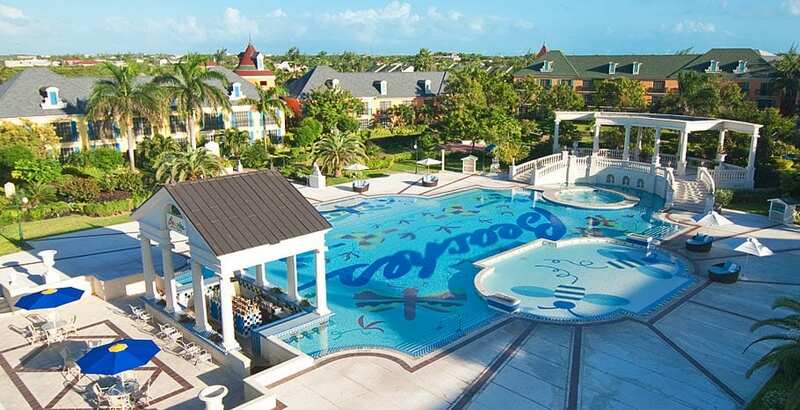 Beaches Turks & Caicos, which belongs to Sandals’ Resorts brand, is a family paradise. Here kids can enjoy the 45,000 square foot Pirate Island Water Park, where they can even enjoy a soda at the swim up soda bar. Younger kids will love the Sesame Street characters found throughout the resort, while older kids will love the teen nightclub. Sit back, relax, and enjoy the property which offers six pools, 2 kiddie pools, unlimited water sports, and 2 waterslides. 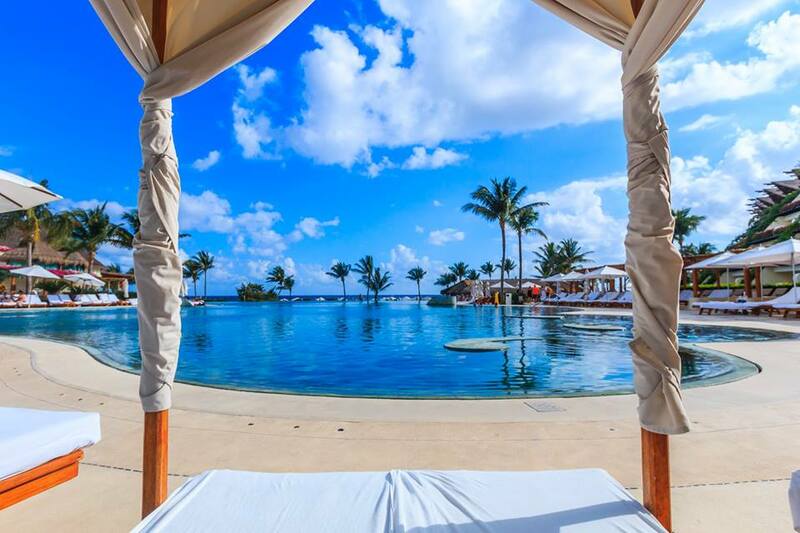 For the family that lives for luxury, look no further than Grand Velas Resort. When you stop to take a break from lounging on the beach – one of the widest in all of the Mayan Riviera – or exploring one of the eight natural cenotes found on the resort, head to your oversized, plus guestroom that features a private terrace. Nannies are available on-site, as well as gourmet dining, a kids’ club for both young ones and teens, and an array of activities. Nickelodeon Punta Cana has much to offer every member of your family. Choose from a chic suite with a balcony or patio, or one of four elaborate villas, including the pineapple under the sea ala Spongebob! This surprisingly elegant resort allows families to enjoy as much or as little Nickelodeon as they want, with Nickelodeon Place’s Aqua Nick water park and the Just Kiddin’ kids’ club separate from the relaxing, palm-lined infinity pool which overlooks the beach. With Karisma Resort’s signature Gourmet Inclusive dining options, family activities like fitness classes and spanish lessons, a family could easily spend a week or more at this fabulous resort without getting bored. 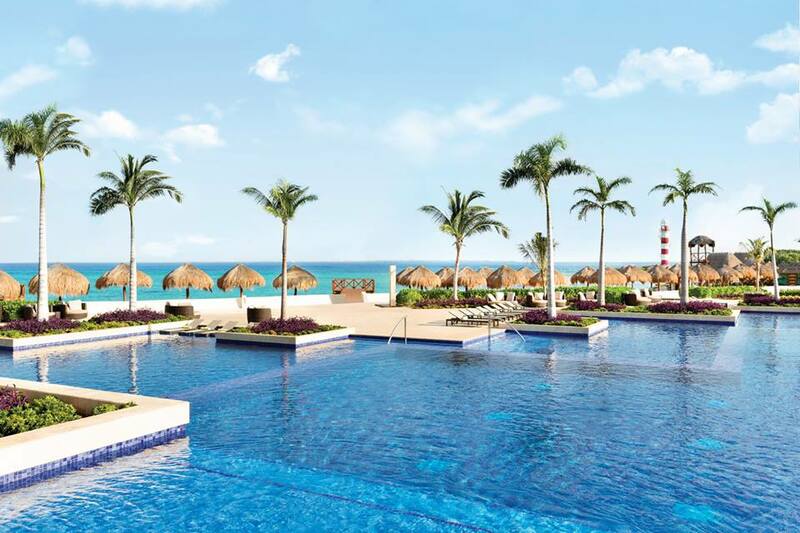 Hyatt Ziva Cancun is a luxurious, family-friendly all-inclusive resort. The white-sand Caribbean beach leads up to three infinity pools, a kid’s pool attached to its own water park, a spa, and a fitness center. There are also nine restaurants and seven lounges and bars, including a microbrewery and a candy shop. Other kid-friendly activities include salsa dancing lessons to an all-ages tennis clinic. 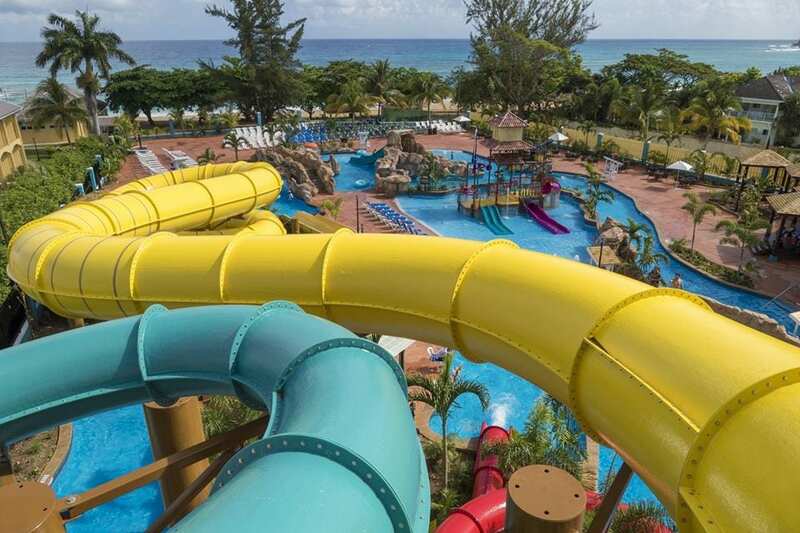 Jewel Runaway Bay became an all-inclusive, family-friendly resort in 2012 following extensive reservations to what used to be an adults-only retreat. Here you will find unique activities including a recording studio for teens, Laser Tag Ranch, and Jewel Lagoon Water Park. Special family programs are also available, including Mommy and Me spa days and Father/Daughter dances, and family golf lessons. 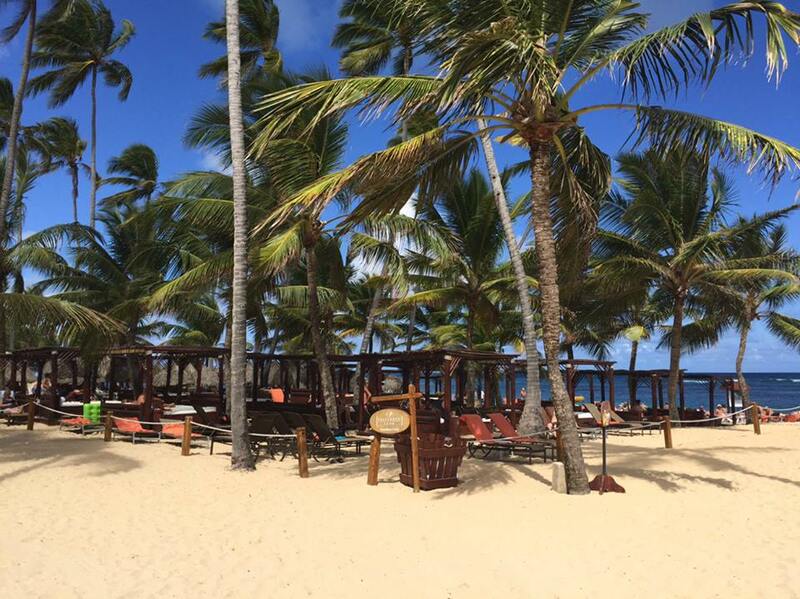 Dreams Spa & Resort in Punta Cana delivers exceptional service and enough activities to keep the entire family entertained. This luxury, family-friendly resort offers the Explorer’s Club featuring a pirate ship water slide for kids ages 3-12. 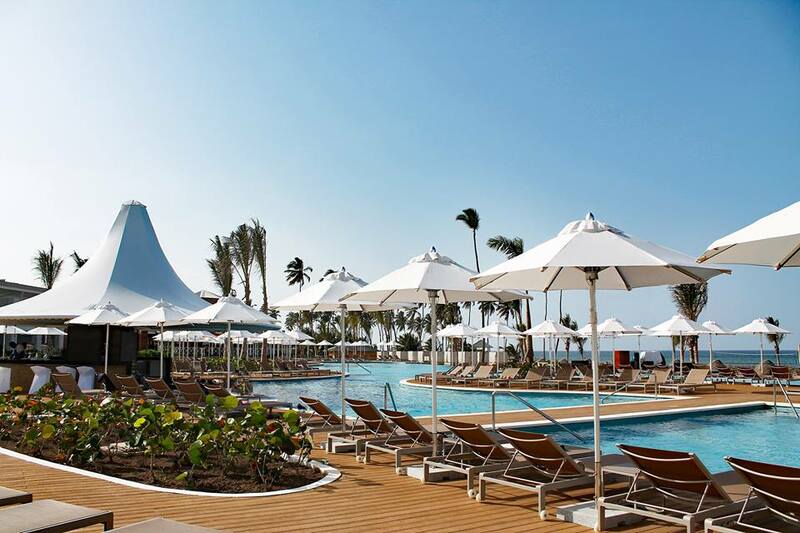 An indoor game room and movies on the beach are just a couple of activities offered by the Explorer’s Club. For teens, they offer organized bonfires, disco nights, and more. 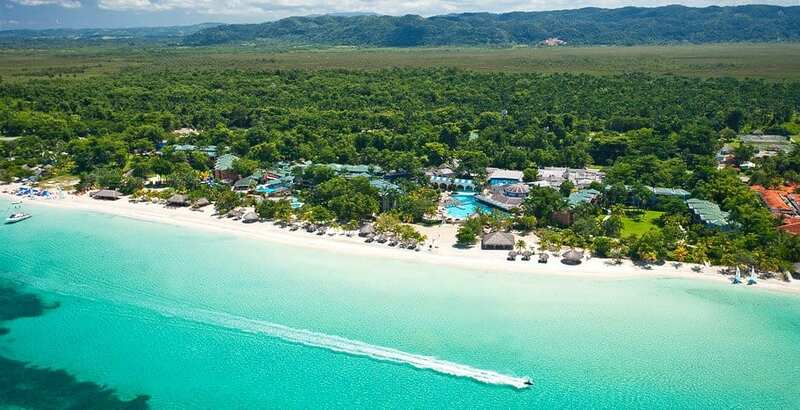 Beaches Negril Resort & Spa is ideally located on the famous 7-mile beach. This family-friendly resort has an amazing water park built right onto the beach. You will also find plenty of water slides at Pirate Island, and a lazy river winding throughout the entire property. The teen’s program here is also a big draw – with unique activities like pizza bars and a teen’s-only nightclub. Call us today to book your next vacation at 402-281-3022.